3 // TODD: As someone who mastered the art of storytelling, I imagine you are a connoisseur of other fine writings and engaging narratives about the Revolution. 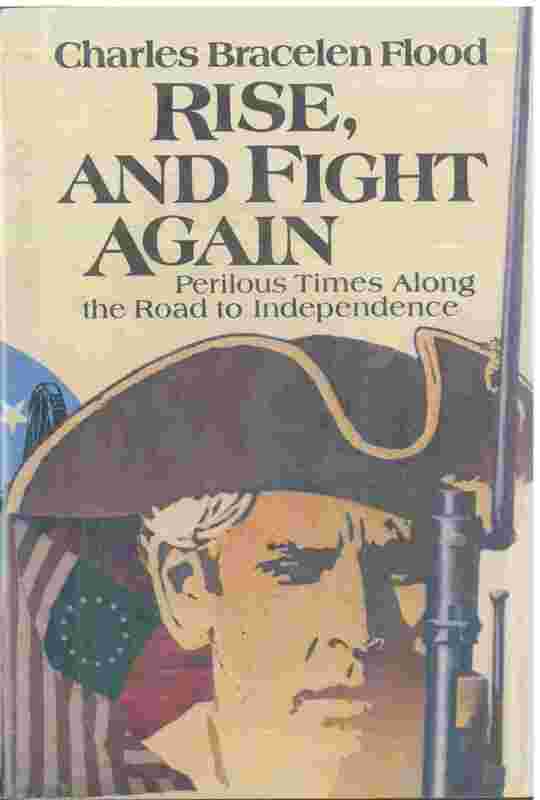 What books (written by others) do you most recommend to fellow American Revolution history buffs? TOM: The First Year of the American Revolution by Allen French — still a tour de force. The War for America by Piers Mackesy — a superb account of the British viewpoint. Private Yankee Doodle, the memoirs of Joseph Plumb Martin – the best account of the war from the bottom up. The Jefferson Image in the American Mind by Merrill Petersen — a crucial perspective on the Revolution’s most complex character. Fame and the Founding Fathers by Douglas Adair. This is the title of the lead essay in this book. It provides a huge insight into a subject that most 21st Century Americans don’t understand. Party Politics in the Continental Congress by H. James Henderson — a forgotten masterpiece on a subject that has escaped too many people. Rise and Fight Again by Charles Bracelen Flood – a great account of how we survived shattering defeats. The chapter on the debacle of the Penobscot Expedition to Maine is alone worth the price. Lt. Col Paul Revere wound up under house arrest, accused of disobedience and cowardice.